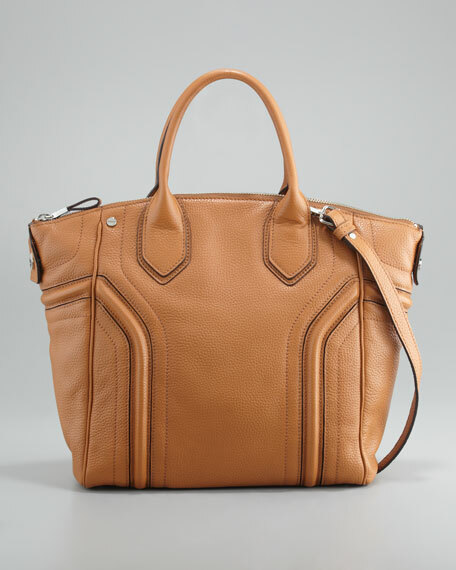 A cleanly structured profile in matte, supple leather gives this Milly Zoey tote enduring styleand everyday ease. Matte pebbled leather with tonal topstitching, contrast edging, and silvertone hardware. Tote handles with 4 1/2" drop. Shoulder strap with 21" drop. 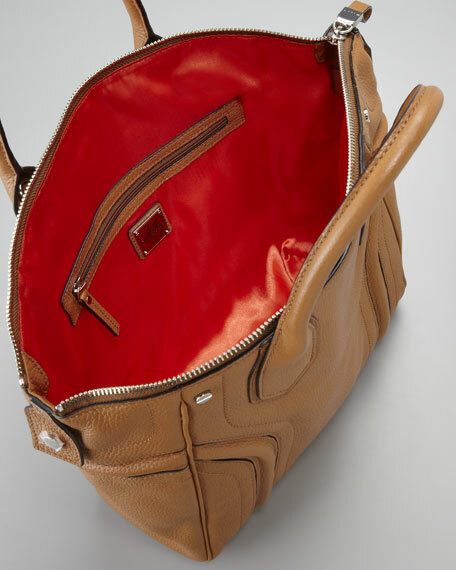 Satin lining; inside, one zip and two open pockets. 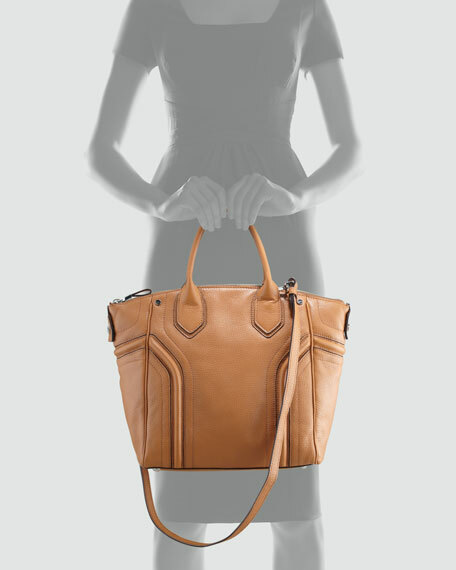 Flat bottom structures tote silhouette. Metal feet protect from wear and tear. 12 1/2"H x 14 1/2"W x 3 3/4"W.
With an avid interest in European fashion and luxury goods, Milly designer Michelle Smith interned at Hermes in Paris after attending New York's Fashion Institute of Technology. While in Paris, Smith also studied at the prestigious ESMOD International Fashion University and interned at Louis Vuitton, Torrente, and Christian Dior. In 2001, Smith returned to New York to launch Milly, which is known for exquisite prints, fabrics, and a modern sensibility with a vintage vibe.